« Are the holidays already leaving you feeling stressed-out, tense or anxious? 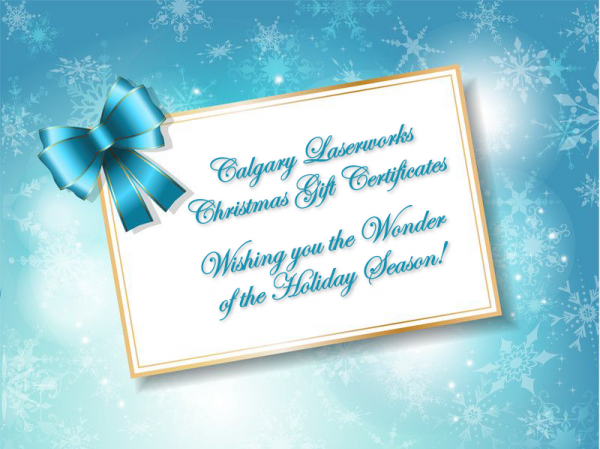 Calgary Laserworks offers gift certificates for many services including: Quitting Smoking, Stress/Anxiety Relief and Reflexology. Our facility features state-of-the-art equipment, is clean and comfortable, and we’re committed to providing the best Calgary Laserworks experience for whatever service option you choose! Our gift certificates are available for purchase at our convenient Southeast location at Suite #209, 8180 McLeod Trail Calgary, Alberta during clinic hours. Just simply drop by or call us at 403-301-3730 for more details. If you want to make gift giving personal yet practical, why not give a gift certificate to all those special people on your list this holiday season! You can help empower a friend or family member put an end to their nicotine addiction, try something new to reduce stress/anxiety and even decompress and improve circulation with reflexology. The perfect way to start the new year! Whatever you do, enjoy the holidays!